The promotional Mini Solid Easter Eggs in Mesh Bag is a great option for your marketing this Easter. 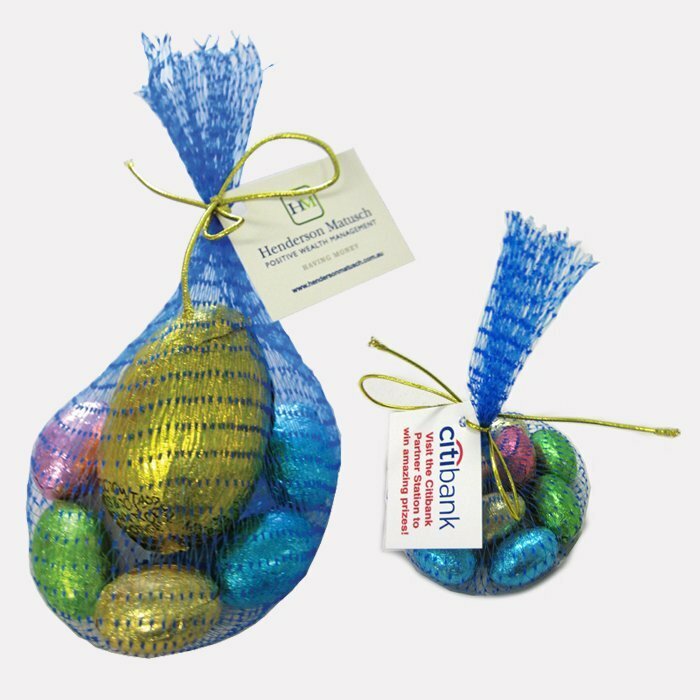 The custom Mini Solid Easter Eggs Mesh Bag is a great giveaway product you can use if you want to make a promotional event this coming Easter season and beyond. It’s got delicious contents that will delight the taste buds, and appealing presentation that will entice lookers. And for promoting your brand, it also comes with a tag where you can have any custom design printed. The personalised Mini Solid Easter Eggs Mesh Bag comes with 7 mini solid Easter Eggs. We’re proud to tell you that these chocolate eggs are guaranteed to be impressive and even exceed expectations. Their smooth and rich taste is something that will make a wonderful gastronomic experience. 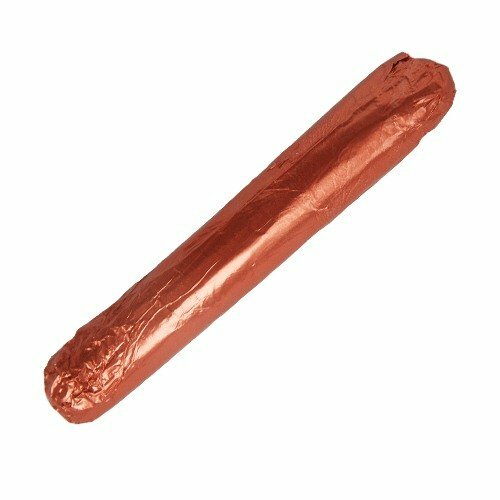 Our chocolates are made with only the best mix of ingredients for your total satisfaction. Presenting them in a mesh bag also showcases the eggs’ colours as they are wrapped in shiny foils, which definitely attracts a lot of attention. The mesh bags are sealed with a gold elastic ribbon and are topped off with a printable tag where you can print your custom design. 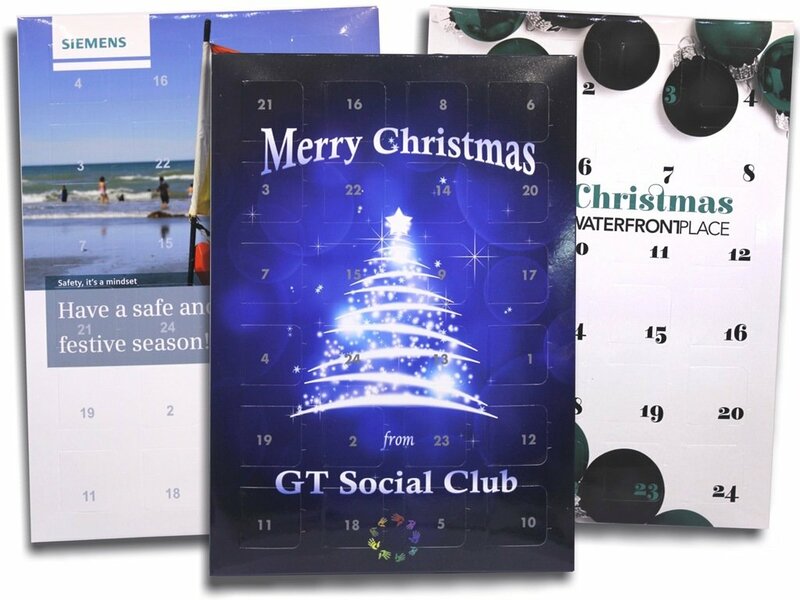 We suggest that you print your company logo alone or any corporate trademark to maximise your brand recall when you give away these promotional gifts. We can also package our chocolate Easter eggs in noodle boxes. Just have a look at the decorated Mini Solid Easter Eggs Coloured Noodle Box and the custom Mini Solid Easter Eggs Frosted Noodle Box. We also recommend you check out our promotional caps like the custom branded Pom Pom Acrylic Beanie. We have a huge lineup of wearable promotional products that you can check out for your upcoming events, so do make sure you give them a visit. Let us know your thoughts by sending us chat message. Or you can also give us a call via our hotline, 1300 008 300. Coloured mesh bag sealed with gold elastic ribbon with a Full Colour Tag.